Our team members are all exceptional, chosen for their knowledge and application of NLP to ensure our students and graduates become exceptionally effective through applying NLP in their lives. Our Founders Chris and Jules Collingwood have been studying NLP for over 30 years, Chris since 1979 and Jules since 1986. Both are certified as NLP Trainers by Dr. John Grinder co-creator of NLP. After years of learning and networking with the top trainers in the NLP community they created our company and the Graduate Certificate in NLP, our flagship program. Chris is a leader in training in Neuro-Linguistic Programming. He and the consultants in his company specialise in cultural, corporate and personal change. He has over twenty years experience in coaching, consulting and leading seminars in Australia, Indonesia, India, New Zealand and the US. Certificate IV in Training and Assessment., Dip Training and Assessment Systems., BA (Psych)., Graduate Certificate in Neuro-Linguistic Programming, MAppSci Social Ecology, NLP Trainer Assessor. He holds a Diploma in Training and Assessment Systems, a Degree in Psychology, a Graduate Certificate in Neuro-Linguistic Programming* and a Masters degree in Applied Science Social Ecology. Chris specialises in one to one work with people, course design and accreditation, and the training of corporate consultants and executive coaches. Some of his former clients include Sydney Water, CSR Asia, Telstra, Australian Bureau of Statistics, National Westminster, Societe Generale Australia, the International Institute of Business Analysts and Environmental Health Australia. 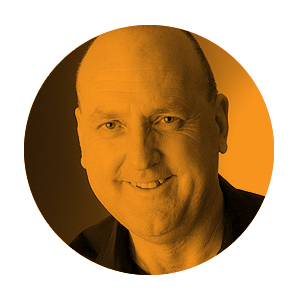 Chris is the managing director of Inspiritive Pty Ltd, a registered training organization (RTO) which he has been running with his partner since 1992. From 1982 until 1992 he worked as a sole proprietor trading as Collingwood & Associates. He has been doing one on one private coaching since 1982. He is also a principle in Adept Executive Solutions a management consultancy that specialises in leadership and management training, modelling top performers, cultural development and corporate change. * A Graduate Certificate is equivalent to a Postgraduate Certificate in the UK. Graduate Certificates are classified at level 8 within the Australian Qualifications Framework (AQF). 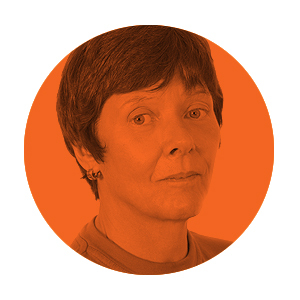 Jules both a trainer of NLP and management consultant specialising in systemic change. She consults to corporate clients in management related areas, and intercultural communication. Co-director Dip Training and Assessment Systems., RN, BSc, Cert TEFL, Graduate Certificate in Neuro-Linguistic Programming., Postgrad Dip Conflict Resolution., NLP Trainer Assessor. Jules’ background includes extensive training with developers of NLP, including Dr. John Grinder, Co-originator of Neuro-Linguistic Programming, Judith DeLozier, Robert Dilts and Todd Epstein. She is certified as an NLP trainer by Dr. John Grinder. Jules is a registered Psychiatric Nurse. She also has a Degree in Urban Estate Management, a Postgraduate Diploma in Conflict Resolution a Diploma in Training and Assessment Systems and a Graduate Certificate in Neuro-Linguistic Programming. Prior to leaving the UK in 1992, Jules worked in London with Pace Personal Development LTD, and as associate trainer with John Seymour of Seymour Associates and sat on the Executive Committee of the ANLP, the British professional body for NLP. Co-director of Inspiritive Pty LTD and a superb negotiator, Jules is committed to making NLP available to all who demand excellence in their lives. She is an experienced Executive Coach and Psychotherapist and is available for personal consultations, corporate training and consulting. 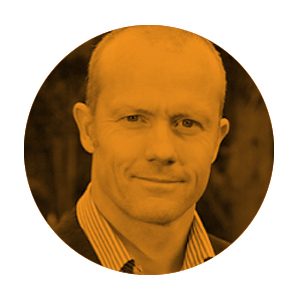 Ian is a Principal Research Scientist at the Australian Antarctic Division, Adjunct Professor at Macquarie University, and cofounder and Director of The Coaching Space. He works mainly at the interface between innovation, industry and policy where he helps organisations develop strategy and align and develop capability. Certificate IV in Training and Assessment., BSc., Graduate Certificate in Neuro-Linguistic Programming., PhD., NLP Trainer. He works with executives, managers, teams and individuals for high performance in research, business, neurotrauma recovery, government and sports – through facilitation, coaching and training. His clients include small and large organisations, company Directors, Senior Executives and Olympic athletes. He also works with frontline specialists such as Tactical Response Group members, paramedics and correctional officers who have experienced psychological trauma, quickly getting them back to work and high performance. Ian is a PhD graduate from Edinburgh and has a BSc, a Graduate Certificate in Neuro-Linguistic programming (NLP), Nationally Accredited Certificates in Process Oriented Coaching and Sports Coaching, Certificate IV in Training and Assessment, and is an NLP Trainer trained and endorsed by John Grinder, the cofounder of NLP. He has worked as an industry consultant, and has organised and led more than a dozen expeditions to the Arctic and Antarctic. He has published extensively, lectures at university in leadership and communication, is regularly invited to speak at international conferences and has served on several advisory boards. He is a member of the Australian Institute of Company Directors, the Neuroleadership Institute, and the Institute of Learning Professionals. He is a passionate mountaineer, sailor and martial arts instructor. The risky business project. This aims to map the decision-making strategies of several long lived professionals who engage in extreme sports – such as full contact combat or ski mountaineering in avalanche terrane, and translate those processes into business, government and frontline service performance where poor engagement with risk can have major or fatal consequences. Outcomes and return-on-investment for training health care professionals in NLP. At the heart of this research is a PhD project by Julie Porter (UTAS) on the evidence base and return-on-investment for coaching interventions and NLP training in the mental health care sector. Mindful bodies in action. A project with Dr Raul Landeo (ACU) and Dr John Grinder to quantify the performance gains (such as speed, decision making, arousal level) in elite athletes after a coaching intervention and fully associated (all the senses engaged) virtual rehearsal and contingency planning. Magnetic sense and spatial development. This involves training the neurology to develop an enhanced sense of magnetic north and spatial acuity using a magnetic belt developed by the University of Osnabruck.